Don’t expect Oshkosh or Lakeland. 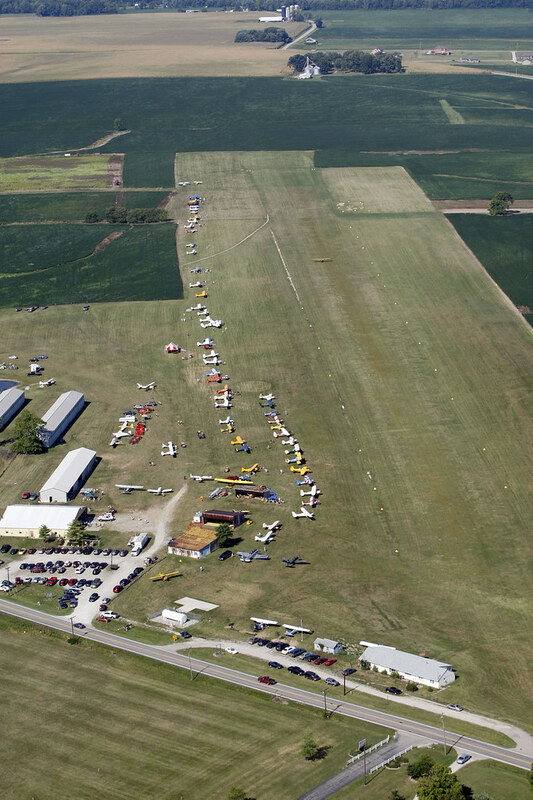 This is a down home regional fly-in designed for pilots. Breakfast is served bright and early Sunday Morning, signaled by Kate Smith singing “God Bless America” at full volume. If you like, bring a guitar and we’ll chase the groundhogs off together. Soon after the chapter reorganized at Stewart Field it was decided that we should host an event fitting for a sod strip of classic and antique “conventionally” geared airplanes. Thus, the Taildragger Fly-In was voted in as the chapter’s premier event. That was 1992 and since that time more than 200 taildragger (and trikes too) have descended on Stewart Field every Labor Day weekend . The TDFI is held on the Sunday before Labor Day to allow pilots to come a distance and have a travel day home. Camping is available out by the pond and Saturday arrivals are welcome. Doug S., Doug G, and Jim W. – see you next year.